The River Severn flows from its source at Plynlimon across Wales then over the border into England. 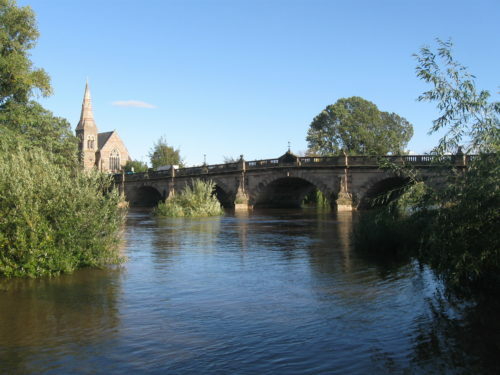 The first town it comes to in England is Shrewsbury. My Mum has lived here for 18 years and she hasn’t been able to work out why some people pronounce it “Shrowsbury” and others “Shroosbury“! You can see that the river is mature by the time it gets here. 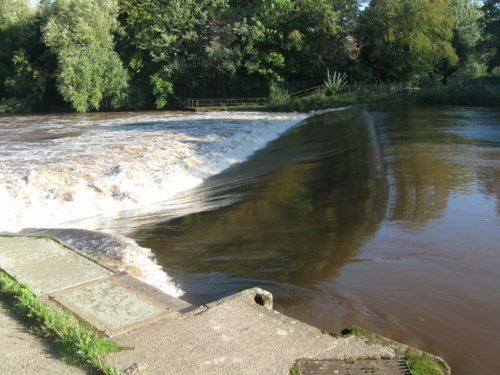 Salmon have to navigate the weir at Shrewsbury on their way from the Atlantic to their spawning point further upstream. The river loops around a hill which seemed to the ancient Britons to be a good place to build a castle and a town. 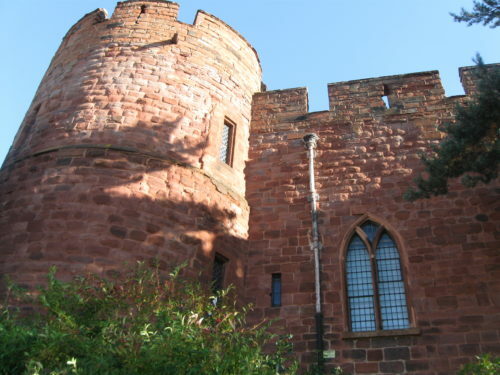 The name Shrewsbury derives from the Old English name Scrobbesburh meaning “the fortified place in the bushes”. The town walls, which still exist in part, and the castle are built of sandstone quarried locally at Grinshill. The town park is built in an old quarry. 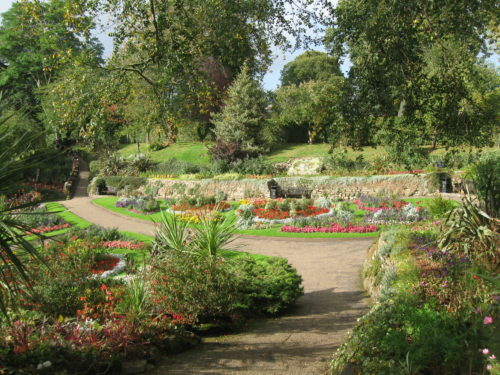 Shrewsbury is well known for our annual flower show, which is attended by around 50,000 people over three days in August. Shropshire is one of the least densely populated counties in England. Over 95% of the population is white British. 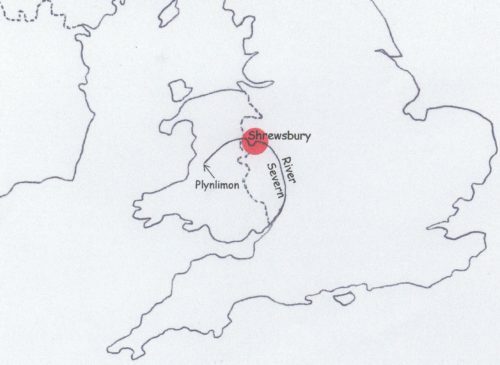 People who originate from Shrewsbury area have a distinctive accent, blending elements from mid-Wales, the West Country and the Black Country. The most famous person from our town is probably either Charles Darwin who wrote about the theory of evolution, or the England goalkeeper Joe Hart, depending on your interests. Throughout the medieval period, Shrewsbury was a centre for the wool trade and brewing and used its position on the River Severn to transport goods across England via the canal system. Unlike many other towns since that period, Shrewsbury never became a centre for heavy industry. Today the local economy operates mostly within the general service and professional sector. We love our town and hope you will enjoy visiting one day!